Norman Cook AKA Fatboy Slim is one of the biggest musical influences in the electronic music scene over the last 20 years. He has defined a generation of music lovers. He has headlined festivals globally, and produced numerous iconic dance music albums of the last two decades. He has played a legendary set to 250,000 people at the Big Beach Boutique event in the UK, and created a 2,000 person human smiley at Creamfields 2015. 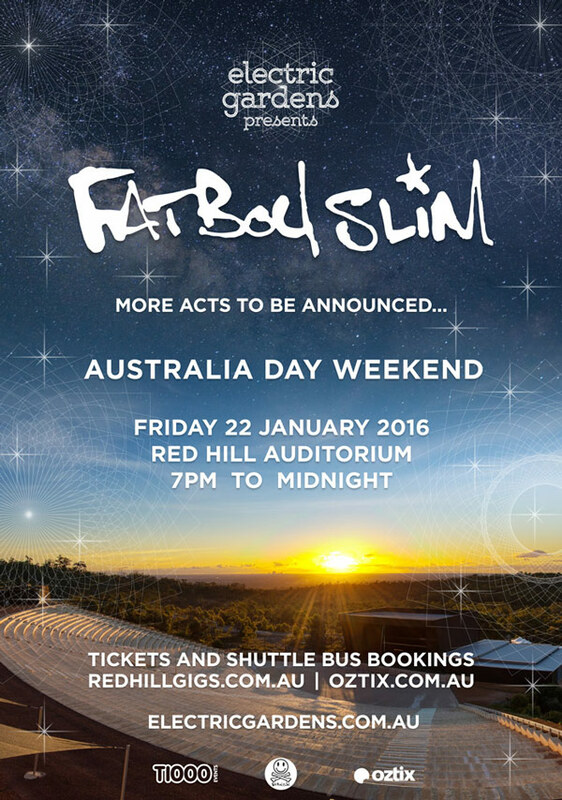 Fans will be reaching for the lasers at Red Hill Auditorium January 22nd 2016. Settled within the John Forrest National Park with sweeping views over the ocean and city, it’s the largest purpose built outdoor concert venue in Western Australia, with a capacity of 5000, this is an intimate mini-festival where everyone sees the show. This Australia Day Weekend will be the pinnacle of the summer with the promise of more acts to be announced.